Part 3 in our integration point series. How to integrate SYNCRO into a brokerage or corporate level website using Powerlinks. We’ve talked about Powerlinks a little bit here and there, but these beauties really put the power into your online interactions. Powerlinks can change a simple link, form, button or advertisement into an instant communication and lead conversion machine. Why make your clients, who are craving instant answers, wait. With Powerlinks you don’t have to. 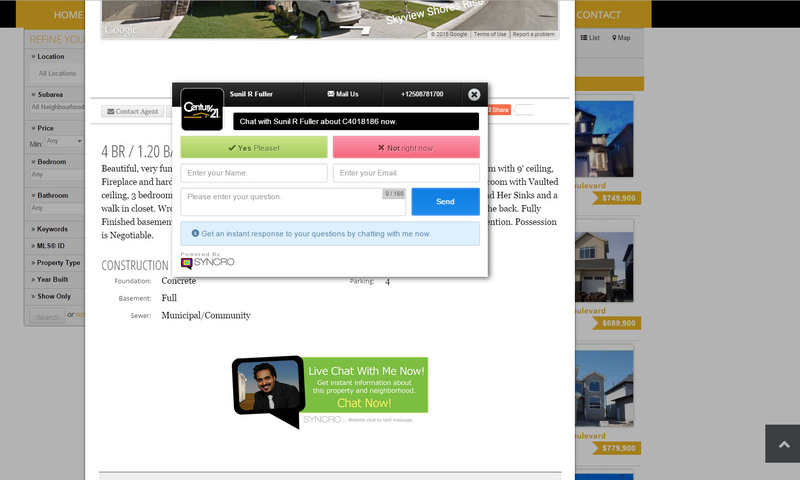 We can call up the chat window from any graphic, link, or form within your website. That lead will be sent to you at the precise moment in time that it’s hot. 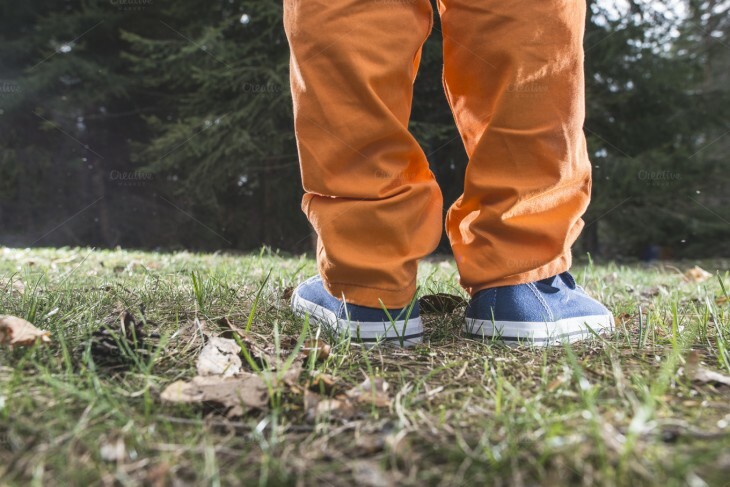 They don’t come fresher than Powerlinks leads. If you’re interested in Powerlinks for your website, you’ll need to schedule some time with us to set them up for you. Again, our set up is free of charge and you are only ever charged when your legitimate lead comes through. It’s win for you. Win for your clients and win for technology that makes your website more human. That concludes our Real Estate installation points. Let us know if we’ve missed something or you have other ideas to improve. We’re always listening! Did you miss Part 1? Or Part 2? SYNCRO – Heading Back to San Francisco Already? I guess we left our hearts in San Francisco. We’ll soon be hitting the road back to the lovely City to attend Inman Connect as an exhibitor on start-up alley. 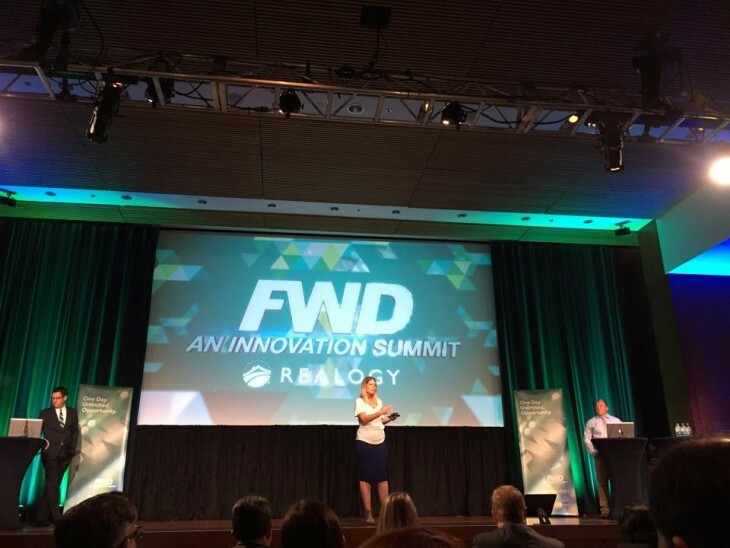 It seems we just unpacked after attending as a finalist and fan favorite in the amazingly orchestrated RealogyFWD15 Innovation event, but no complaints on our end! We attended our first Inman Connect in New York City back in January of this year where we braved the storm of the century and introduced SYNCRO to the cold weather and throngs of brokers, technology enthusiasts and real estate agents. We’re excited to be exhibiting at Inman again. They have a reputation of having a high quality crowd of exhibitors, attendees and presenters alike and that was very apparent at the NYC event. If you’re looking to connect with us while we’re in town please come and see us over on Start Up Alley at table S30. We’d love to demo our product for you and talk about all the value SYNCRO website chat to text can provide for your real estate brokerage. Part 2 in our integration point series. How to integrate SYNCRO into a brokerage or corporate level website. We have the capability of integrating SYNCRO three ways for brokerages and corporate clients and that’s not counting our Powerlinks strategy, which we will dive into during the last part of this website chat integration series. Brokerages and corporate accounts are afforded deep discounts off of our posted monthly unlimited usage rate when a commitment to use SYNCRO for all agents is agreed upon. You can choose to use one integration method or go with all three for ultimate efficiency. 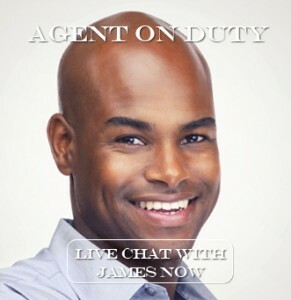 The rotating agent on duty gets an upgrade with SYNCRO live website chat to text. We can embed live chat into your existing agent on duty widget following the design and branding of your website or we can custom design a chat now widget for you to use. Every time your website is refreshed and a page reloads, the user will be presented with a new agent from your roster who they can interact with in real time for quick help. This randomization mechanism makes it fair for all agent within the brokerage as they will all have their shot at being discovered front and centered. We also offer standard PC to PC chat for agents and brokers who prefer to have an administrator handle the chats, but this would be better handled using our single site integration method. 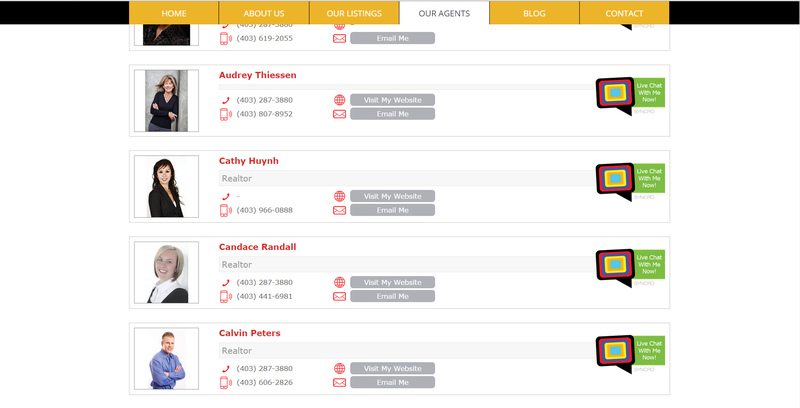 Every brokerage has a list of agents within their brokerage website, but SYNCRO will up the ante on real time engagement and give your agent roster some tangible action. By embedding SYNCRO into your agent roster, customers can instantly connect with the agent of their choice to ask real time questions, which will be sent directly to the agent’s mobile phone via text message. This cuts down on the need for your admin to be flagging leads all day and trying to decide who they need to send them out to. The third and most powerful way we can integrate SYNCRO is through the IDX/MLS data feed. 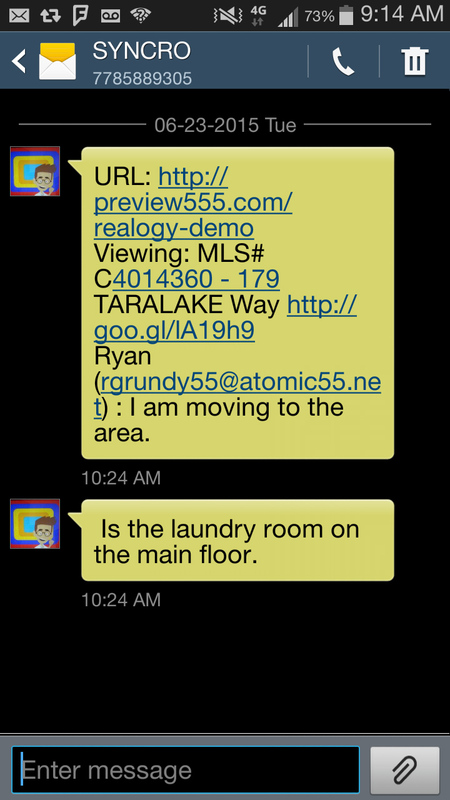 We can use the data from your IDX provider to guarantee that the chat bubble is tied directly to the agent/realtor ID. This will ensure that all incoming chat leads from your brokerage website regarding the listing that agent owns will be sent directly, in real time, to the listing agents’ mobile phone number. 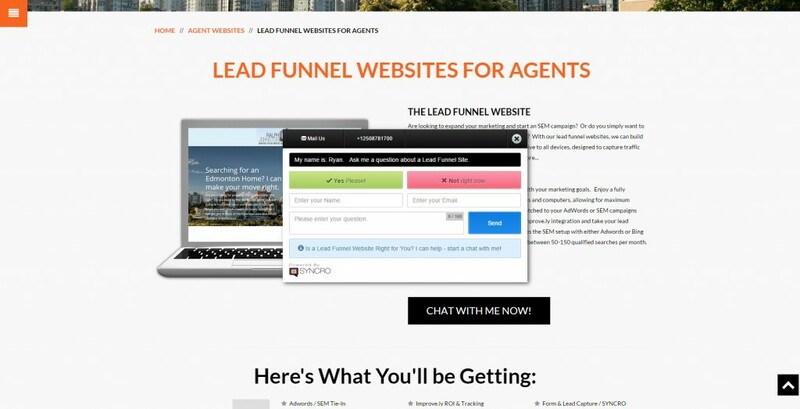 As a broker you can save money on admin costs, and stop the insanity of trying to finally determine who is next in line to get the lead from your brokerage website. 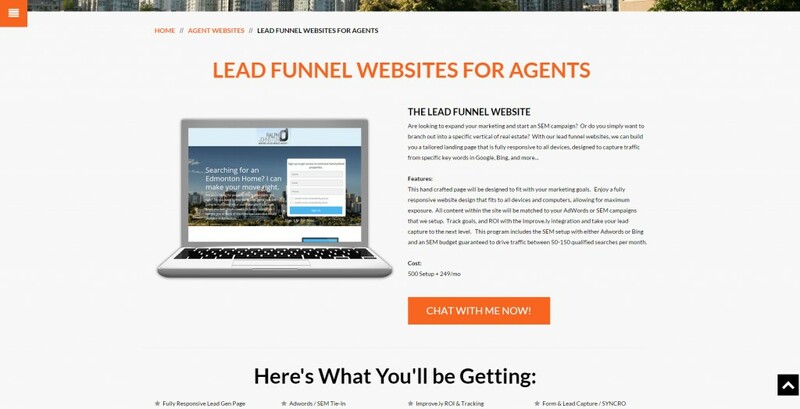 This is a simple and effective way to ensure that all leads are dealt with fairly, especially when competition runs high from the biggest most authentic lead generator your agents have – your brokerage website. Using SYNCRO makes for a great recruiting tool, because when a potential new hire asks how you deal with brokerage website leads, you can say that’s between the agent who’s representing the listing and SYNCRO. Our monthly reporting allows you to check in on your agents’ progress and see who is the most responsive, what’s working with customers as far as responses are concerned and leverage all that data to train and coach your agents into better lead closers. Those are the three most popular ways to integrate SYCNRO into a brokerage website or corporate website to ensure an efficient live chat solution. Pricing is quoted on a per agent basis and will depend on which integration method you choose to use. For more details on installing SYNCRO in any of the three ways listed above please contact our team directly. Next up: Part 3 in our integration point series – Powerlinks. Did you miss Part 1? Check out how to do a basic install here.